Today’s job market is one of the most competitive in history. The unemployment rate in the U.S. has hit an historic low of 3.7%—the lowest rate in 50 years. At the same time, however, hiring is on the upswing: in 2017, LinkedIn predicted that hiring volume would increase by 58% nationwide. For companies, this means that they have to do more to retain talent. Making sure the employee journey is smooth and enjoyable from Day 1 is crucial: whether you’re organizing a company-wide fun run or conducting annual performance reviews, you want to do everything possible to help employees reach their potential and stay happy. 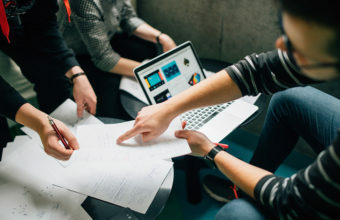 Because HR teams don’t have unlimited time, attention, or resources, they rely on business systems leaders to help them get the most out of their apps and design processes that work. But employee-facing processes can be tricky to implement, because you need to make sure they’re scalable and easy-to-use by a wide range of people. You also have to account for processes that will still require human input—like approval workflows. With the advent of intelligent automation, chat apps like Slack can transform into the new employee interface. 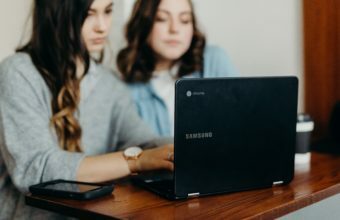 Here’s how a leading utility group uses Workato’s Workbot to turn Slack into a hub for key tasks like requesting/approving PTO, reviewing expense reports, and more—so that the day-to-day employee experience is delightful. The Challenge: The company initially relied on a custom-built app to submit and approve requests. But this app was expensive to maintain and needed to be replaced. The Solution: The company replaced its custom app with a chatbot solution built using Slack and Workato. For a leading utilities and urban development company, a custom app was at the heart of many key employee processes. From requesting PTO to submitting purchase orders and expense reports, the average employee interacted with the app multiple times per day. Maintaining this custom app, however, was time-consuming—and expensive. The company mainly relied on outside developers to keep it up and running, but this wasn’t a sustainable approach. 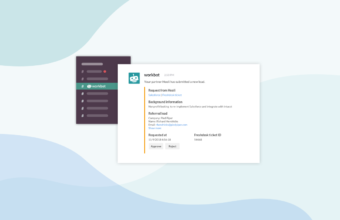 While exploring Slack as a potential communication tool, the company was introduced to Workbot, a bot that enables users to do work in other apps directly from Slack. The company soon realized they could achieve the same functionality as their custom app by using Workbot to pull key processes into the chat app. The company uses SAP as its HR hub, so all requests for time off have to be put into the app. Because SAP may not be familiar to all employees, the company relied on its old custom app as a hub where employees could submit and approve PTO requests. Today, employees can request PTO directly from the chat app. Workato will forward these requests to the appropriate manager via DM, who can approve or reject the request. The outcome is automatically logged in SAP, and the requester will receive a Slack message with the outcome. Managers can also check for pending requests using a command, and all employees can ask Workbot for an update on their time off balance. The process of approving an expense report works similarly; managers can review all pending reports and either approve or reject them from the Slack interface. But the company also needed to account for the sensitive nature of these reports. Most expense reports have accompanying documentation that must be stored and accessed securely. Workbot can’t simply link to any files stored in SAP or upload the file to Slack directly, because these files shouldn’t be permanently available in Slack. As a solution, the company uses Workato to push all expense report PDFs from SAP to a dedicated Google Drive. When a user asks for details on an expense report, Workato fetches the relevant files from SAP and uploads them to Drive in real time so Workbot can provide a link to the documentation in Slack. Another Workato recipe solves the permanence issue by deleting all files from the dedicated Drive every two days. A similar workflow is used for purchase requisitions as well, with a few tweaks. When an employee asks to review a requisition, Workbot will display a summary of the request—along with a “More Details” button. If the user clicks it, Workato will fetch additional details about the request from SAP and post them as a thread in Slack. Attachments are also available and are kept secure with the same Google Drive workflow used for expense reports. Slack also now functions as a hub for approving purchase orders (POs). Every time an employee submits a new purchase order, Workbot notifies the correct manager via Slack. They can then either review more details or approve the PO—there is no reject function. More importantly, Workbot sends reminder notifications if the manager fails to take action within a certain period of time. This ensures that no PO slips through the cracks; 100% of requests are reviewed. At the company, invoices involve a multi-step approval process where several people must review each request. At any point, one reviewer may also request additional review from someone else—or delegate the approval entirely. To make the process more transparent, the company created a Workbot automation that pulls these approvals into Slack. As with all approval workflows, employees can both request a summary of any pending invoices they must approve in Slack and receive real-time notifications as new invoices are assigned to them. Like the expense report and purchase requisition workflows, Workbot displays a “Show More Details” button with each invoice summary. This button will reveal not only the invoice details and any attachments but will also display the approval history—a key function since many people may need to approve the same invoice. The message will also show whether the invoice is associated with an existing purchase order. Because the invoice approval process is collaborative and multi-stage, the company also created a “Refer” button in Workbot. When an employee receives an invoice for review in Slack, they can use the button to search for the colleague they’d like to refer to invoice to. Before Workbot sends the invoice to their coworker, the referrer is prompted to add comments or helpful contextual information. Additionally, the referrer can select the “Wait for User Feedback” option. This will prompt the employee receiving the referral to review the invoice and offer their thoughts via Slack—Workbot’s “approve” and “reject” functions are temporarily suspended until they provide feedback. Overall, these approval workflows have given the company a viable, sustainable alternative to their custom app. Workbot allows employees to submit, access, and review common requests from a central interface that’s also mobile-friendly—a much better employee experience than doing these processes manually! Workbot also has a distinct advantage over other solutions: it can accommodate two-factor authentication. Before an employee can approve any request from Slack, Workbot will prompt them to request a one-time, randomly generated password. Workato sends this one-time password to their email address; the employee must enter it into Slack before they can take action on the request. This component of the workflow gives added security—which is important when dealing with sensitive approvals! In the future, the company plans to expand its use of Workbot to make the employee experience even better. With natural language processing (NLP), Workbot can function as an intelligent helpdesk. When an employee asks a question, Workbot can comb through the company’s various knowledge bases for relevant articles, handbooks, and policies. This will turn Slack into a one-stop shop for key employee information, making it easier for workers to get the answers they need quickly.